Chop an apple in half and stab a fork in it, making it easier for your little ones to hold. 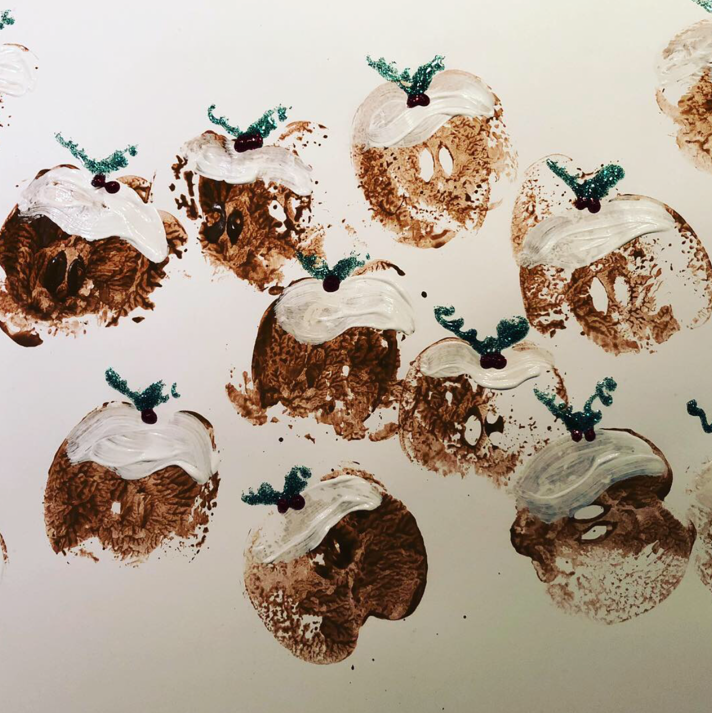 Stamp the apple in brown paint and print onto white card. Once dry, add a white top, and some leaves and berries. This can be using glitter glue, pens, card, or even some pom poms! These are fab for cards, or evening festive bunting! Collect some pinecones and dry them out. Paint with green paint, drizzle with PVA glue and sprinkle with glitter. Perfect to pop around the house for some extra festive feels! 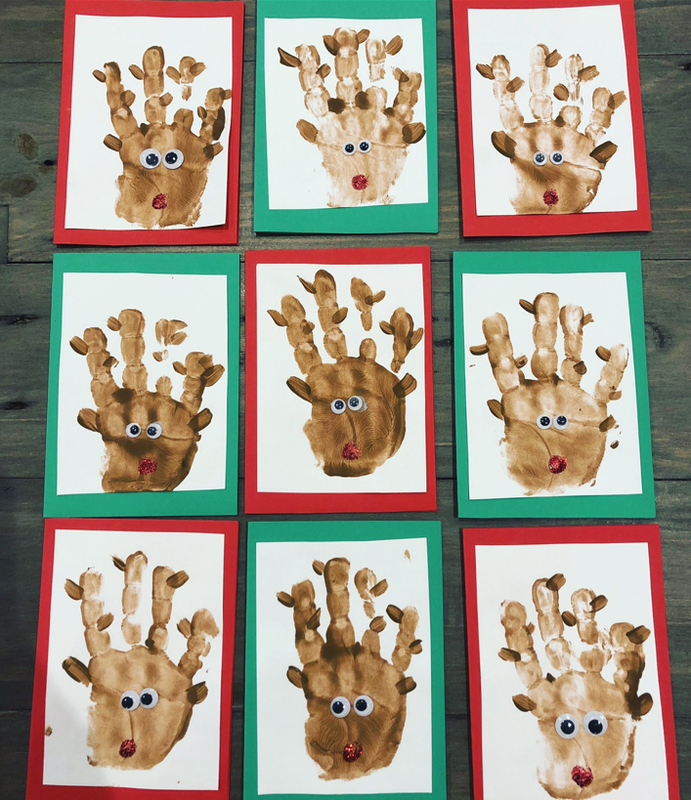 Get your little one to stamp on green hand prints on card, leaving them to dry before cutting out. Cutting the middle circle out of a paper plate, stick the hands around to make a leaf impression. Add some red berries using paint, pom poms, pens etc, and hang up with some pretty ribbon! You can blitz this in the microwave quickly on short zaps (keep checking s0 they don’t burn!) Alternatively if you have more time and patience you can bake them for 2-3 hours on a low heat in the oven. 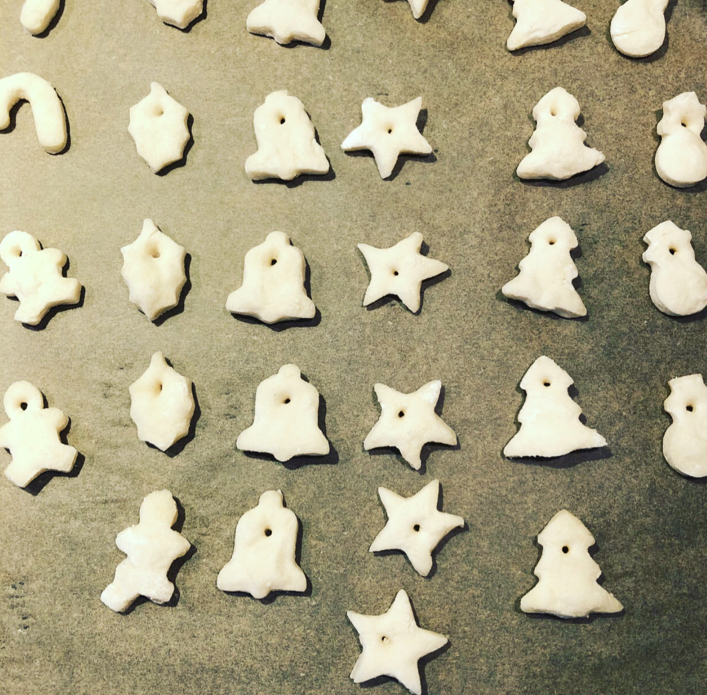 Cut out with various cutters, bake and paint! You can glaze with PVA glue for a shiny effect. Perfect for family Christmas gifts.